You can celebrate these feistier felines by ensuring that your own cats are spayed or neutered, or by adopting one of our Barn Cats! As you can see from this photo of Betty, our barn cats often really don’t warrant the term ‘feral’ at all! Our Barn Cats would love to live in your barn and help you keep tabs on those pesky mice. They’re great additions to any farm or stable – and best of all, HSKC barn cats are free-of-charge because they’re “working cats,” providing a valuable service! For more information, call the HSKC Shelter at 410-778-3648 or email info@kenthumane.org. 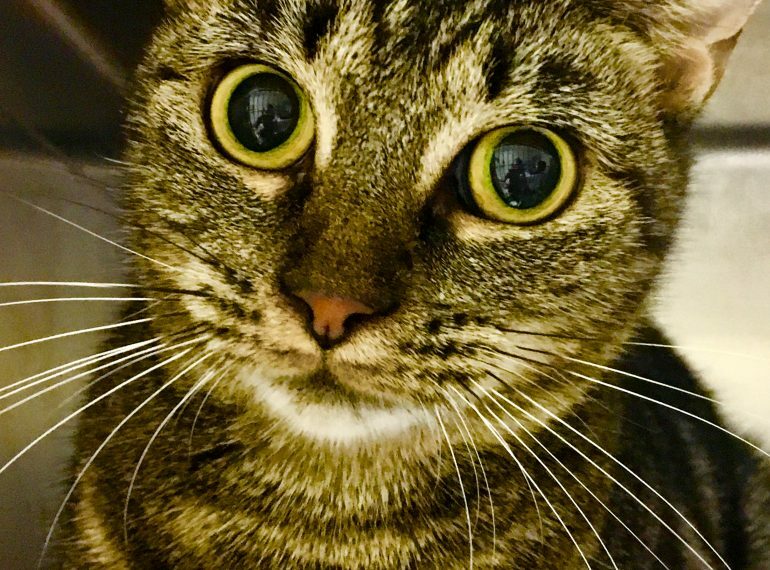 Want to take a peek at our available cats? Visit www.kenthumane.org/adopt! The HSKC Shelter is open Mondays, Tuesdays, and Thursdays-Saturdays 11am to 4pm.